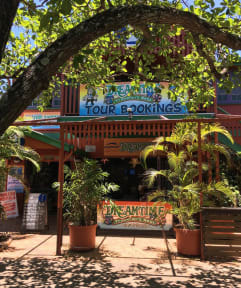 Dreamtime Travellers Rest i Cairns, Australien : Boka nu! My stay was really pleasant, the staff was really accommodating and helpful. They gave me lots of good tips of what to do and helped me plan my trip. It’s clean and it’s a homey feeling and I would stay there again if I went back.